A few years back, my sister re-decorated her room with a more vintage theme. One of my favorite pieces in the room is this chic wall art which was super easy and fun to make. 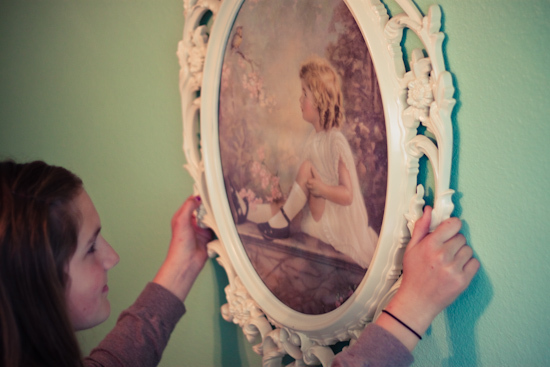 The frame was actually purchased at Ikea and the photo is a print of the actual painting, so we didn't feel bad about cutting it. To get the tutorial, click below! Ung Drill frame from IKEA - $29.99 (Unfortunately, the frame is only available in stores). 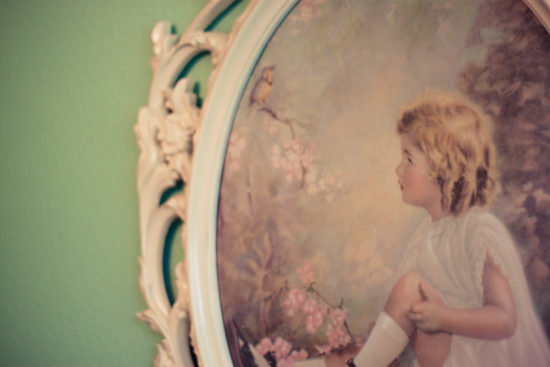 Antique photo, or photo of your choice. 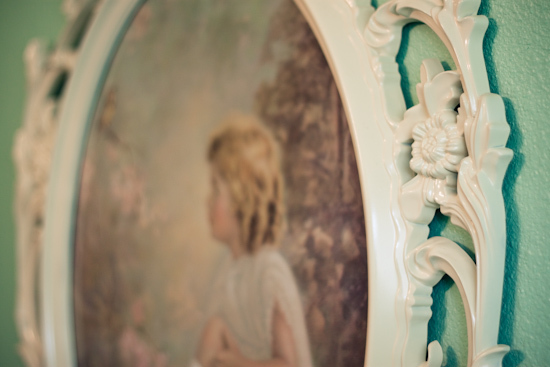 The frame width is 15-3/4" X 19-3/4" (you may be able to find something great at a local vintage or thrift store). Spray the IKEA frame with spray paint and let dry completely (spray outdoors or in a well ventilated area). Make sure to spray in all the little crevasses of the frame. 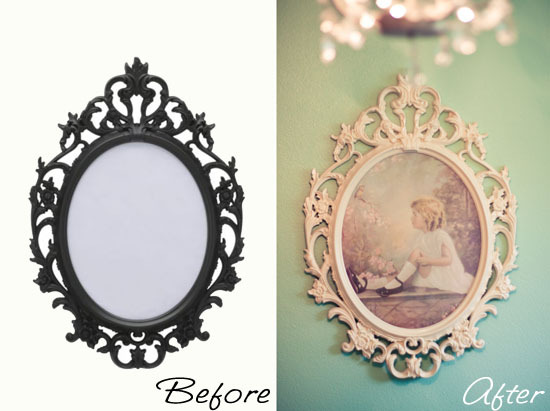 Place frame over photo and trace the oval frame outline with a pencil. Cut out the photo and place in the frame. 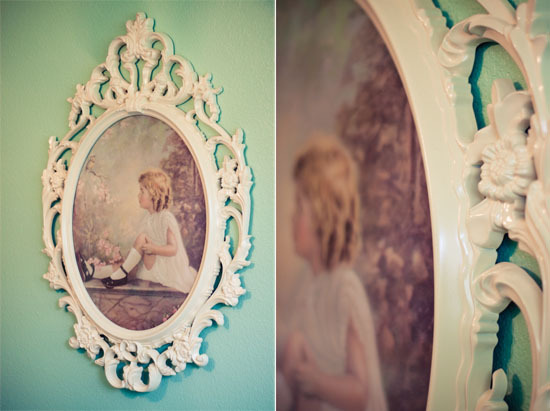 i can't believe that pretty frame is from IKEA - what a cute project!